Q-Tips happen to be something that everyone could make do with, and it is always nice to have some place where you will be able to stash away all of those in a nice and orderly manner. 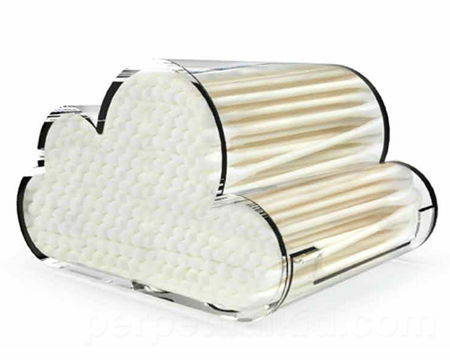 A simple, transparent cylinder might be the typical method, not why conform to the ordinary when you have the $11.99 Cloud Catcher Cotton Swab Holder to be able to do it for you – and in style, too? With this, you can place your entire new package of fluffy cotton swabs into it, and it certainly looks the part. Made out of plastic, the Cloud Catcher Cotton Swab Holder measures roughly 4” in width and 2.25” tall as well as 3.5” deep, but you will need to get your own cotton swabs though.